The Crandall house looks like it came straight out of a fairy tale. This Sunday, hundreds of people will travel to the Kootenai Street Historic Neighborhood on the Bench in Boise for a chance to tour historic homes. The annual Heritage Homes Tour is put on by the group Preservation Idaho. Dan Everhart is with the organization. He says the tour started about 15 years ago out of a need to raise money for the group. The tour has been to Harrison Boulevard, Warm Springs and the North End, but never to the main part of the Boise Bench. Everhart says this part of the Bench is special and a great place to tour historic homes. He says it has a reputation as the Harrison Boulevard of the Boise Bench because it offers a perspective on the city that you don’t see in the North End or the East End. He says that’s because for the first 100 years of the city, the Bench was quite far outside the city. “You had to drive there. It was a place of gentlemen farmers and agriculture and the Bench is special because it feels different,” Everhart says. His favorite house on the tour was designed by Idaho artist and photographer Harrison Crandall in the 1930’s. Crandall’s family lived in the Tetons during the summer, but spent the rest of the year in Boise. 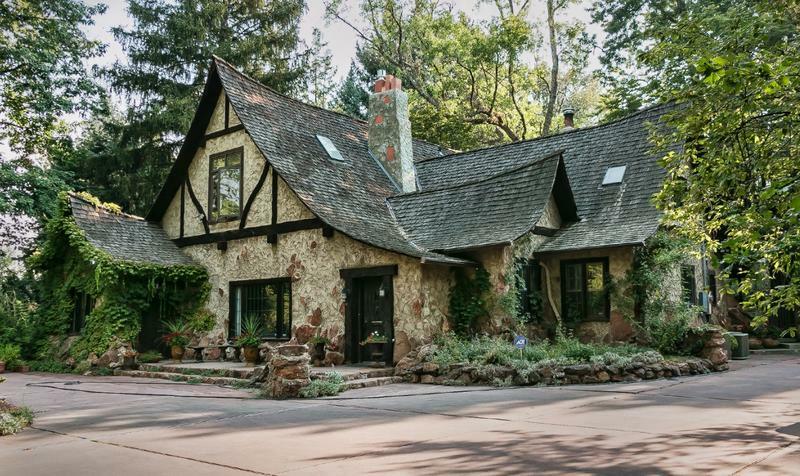 Everhart says the house can only be described as a fairytale cottage. He says the illustration Crandall drew for the house looks like something that Walt Disney would have drawn for Snow White. “You find yourself wondering if Hansel and Gretel will open the door or the witch they came to see or who it might be that lives in this purposefully whimsical house. It’s quite the experience,” Everhart says. He says walking tours of homes like this one are important to cities, to remind us of our past. These tours offer the opportunity to see those places and better appreciate them.